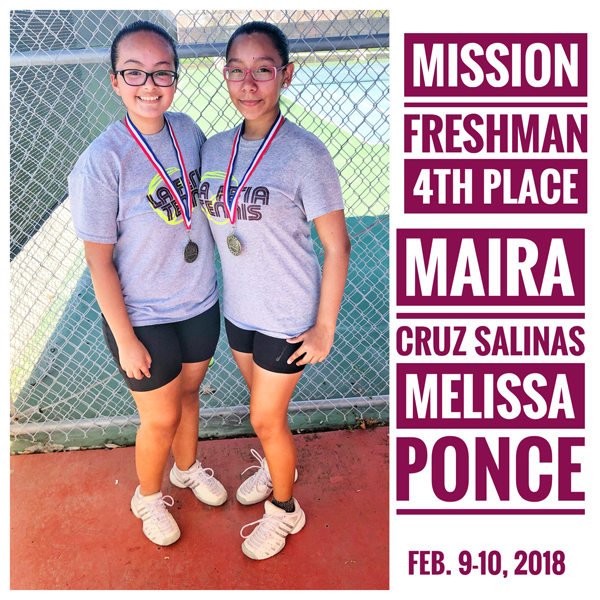 Congratulations to the La Feria Junior Varsity and Freshman tennis teams for their efforts at the Mission Tennis Tournament held February 9-10, 2018. 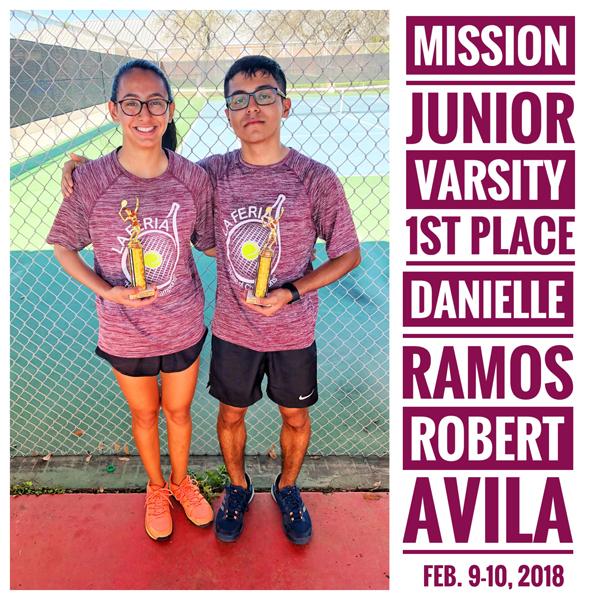 Individual standouts were Robert Avila and Danielle Ramos – 1st Place Junior Varsity Mixed Doubles; Eduardo Anell and Damian Cantu – 3rd Place Freshman Boys Doubles; and Maira Cruz Salinas and Melissa Ponce – 4th Place 4th Place Freshman Girls Doubles. 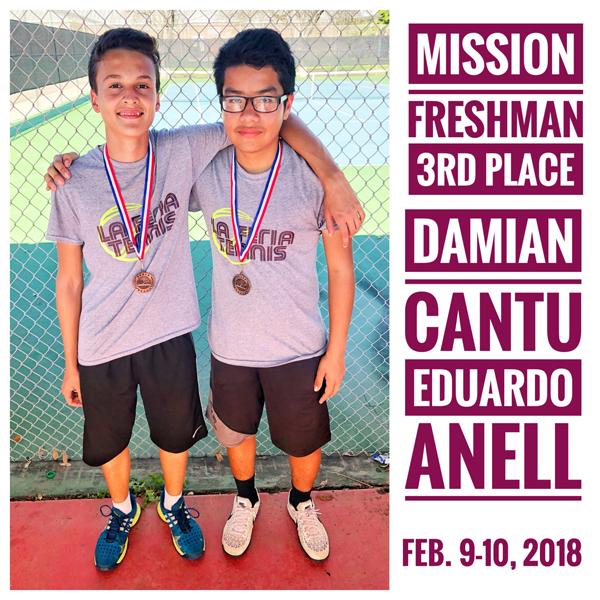 Written by: admin on February 23, 2018.